I can't believe it, it's 2016! Happy New Year! I hope you have had an amazing 2015 and an even better 2016. Thank you so much for taking the time to read my blog and watch my videos. Although I love blogging for me, I get even more out of it when I see what you are reading or leaving comments on, so thank you! 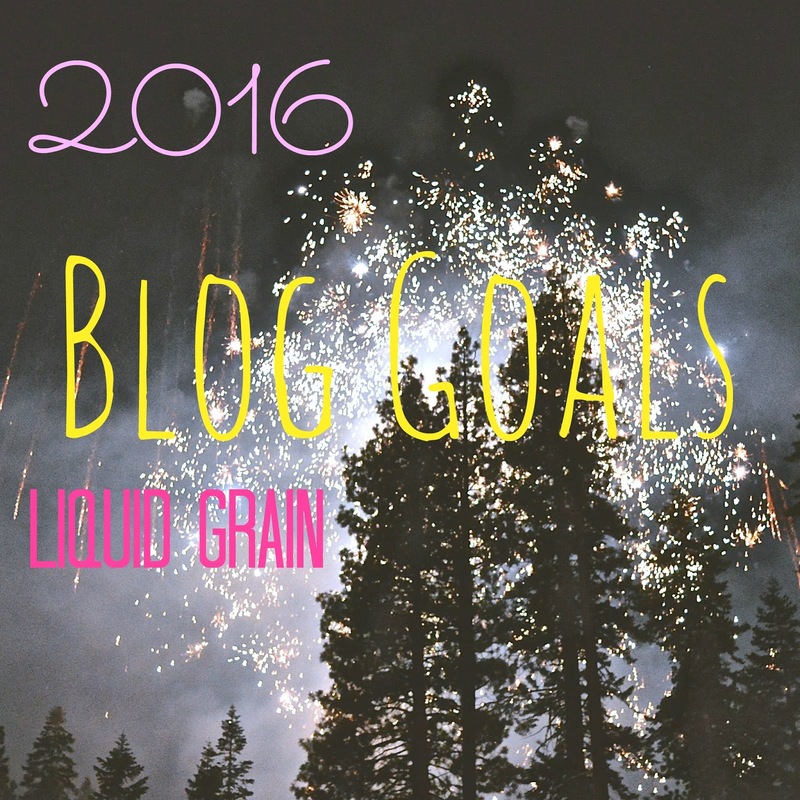 Now in an attempt to be a good old blogger I have decided to put together my main blog goals for the coming year! My main goal for the next year is to build on my posting schedule. For almost a year I have aimed to get three written posts and a Silent Sunday post up every week, however I'm still not consistently hitting this. So for the next year I want to make sure I am scheduling ahead and doing this every week, if not more! From my fellow blogger friends and reading other blogs I gather that Pinterest can bring a real boost to page views, however I don't use it AT ALL! I really must get on it and learn how to use and then utilize Pinterest successfully to improve Liquid Grain. I have been enjoying sneaking my way into the YouTube world, but I really want to get more into it! I want to find my niche! I don't know where I fit in the YT world so I want to discover it and then work on creating new content! Part of getting better at YT is improving how I film and edit my videos. In the same vein as getting my posting schedule consistent I also want to get my social media posting in order too! It will also be good if I could spend some time on Twitter as I am currently focussing most of my efforts on Instagram and Facebook and Twitter is such an important tool! What are your resolutions and goals for the next year? Let me know down below!